The European Parliament's chief Brexit official has welcomed British Prime Minister Theresa May's move to hold talks with the opposition Labour Party as "better late than never." Guy Verhofstadt welcomed May's move and said it was "good" she was reaching out across party lines to find a compromise to break the Brexit deadlock. Verhofstadt has long said that effective cross-party cooperation in the House of Commons was the best, and perhaps the only way, for Britain to emerge from the crisis. During several legislative sessions, he exhorted British lawmakers to put party politics behind them and become their political acumen to put country before party. British opposition leader Jeremy Corbyn says he is happy to sit down with Prime Minister Theresa May to work on a Brexit deal, even though "so far she hasn't shown much sign of compromise." The leader of the left-of-center Labour Party says "we recognize that she has made a move" and is willing to hold talks with May. He says British people need certainty that the country will not be "crashing out" of the EU without a deal. Corbyn says Labour will present May with its conditions for Brexit, which include a close economic relationship with the bloc, maintaining high environmental standards and protecting workers' rights. European Council President Donald Tusk is urging the European Union to be patient as it considers its response to British Prime Minister Theresa May's offer to compromise on her divorce deal. Tusk sent the tweet sent soon after May spoke at her Downing Street office. May says she'll ask the EU for more time to forge a consensus in breaking through the impasse. Tusk's comment suggests that the EU will wait for Britain to present a clear plan. He tweeted: "Even if, after today, we don't know what the end result will be, let us be patient." The prime minister of the U.K. says her government will abide by Parliament's decisions as it seeks to forge a consensus on Britain's divorce from the European Union. Speaking outside her 10 Downing Street office following a seven-hour Cabinet meeting Tuesday, Prime Minister Theresa May said she needs to ask the EU for a second extension that is "as short as possible" to avoid leaving the EU without a deal on the withdrawal terms. She also announced a significant softening of her Brexit terms, including trying to make an accord with the political opposition in a bid to break the Brexit impasse. The House of Commons on Monday threw out four alternatives to May's Brexit deal and rejected other options last week after defeating her deal a third time. 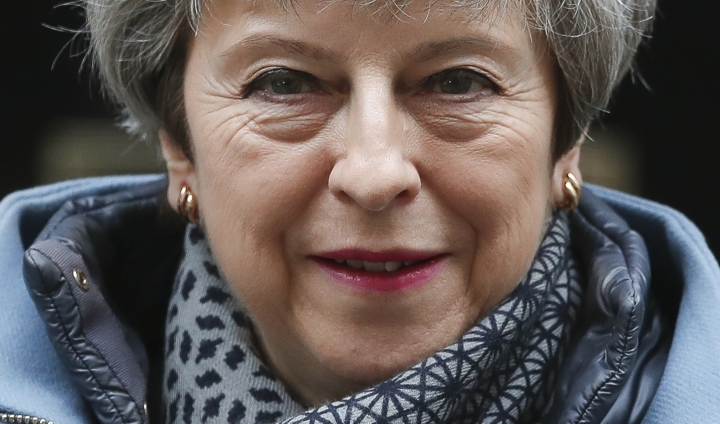 British Prime Minister Theresa May says Britain will seek another delay to Brexit in hopes of winning Parliament's approval of a deal on the terms of its withdrawal from the European Union. 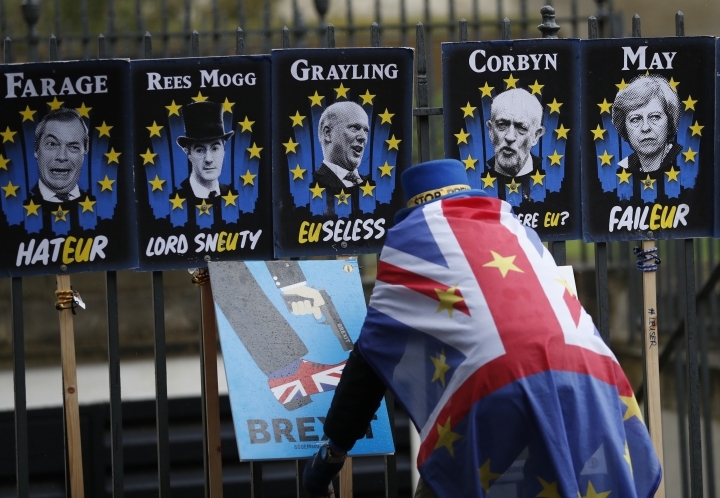 May said after a seven-hour Cabinet meeting on Tuesday that she will try to have cross-party talks with opposition Labour Party leader Jeremy Corbyn to try to break the Brexit logjam in Parliament. The British leader's statement comes amid building concern that the country will leave the EU on April 12. That's the deadline the EU's 27 remaining countries gave the U.K. for leaving the bloc or coming up with a new plan. Lawmakers in the House of Commons have voted three times to reject an agreement May struck with the EU. British police say they are investigating two attempts to sabotage railway lines that they believe are linked to Brexit. The British Transport Police force says two "malicious obstructions" hit sections of rail line in central and eastern England on March 21 and 27. In both cases, devices were attached to the tracks that were intended to disrupt services — though they failed. Police said Tuesday that they believe the sabotage "relates to Britain's exit from the European Union." The force did not say why it had made that link. The Daily Mirror newspaper reported that a note attached to one device said "leave means leave" and vowed to "bring this country to its knees if we don't leave." 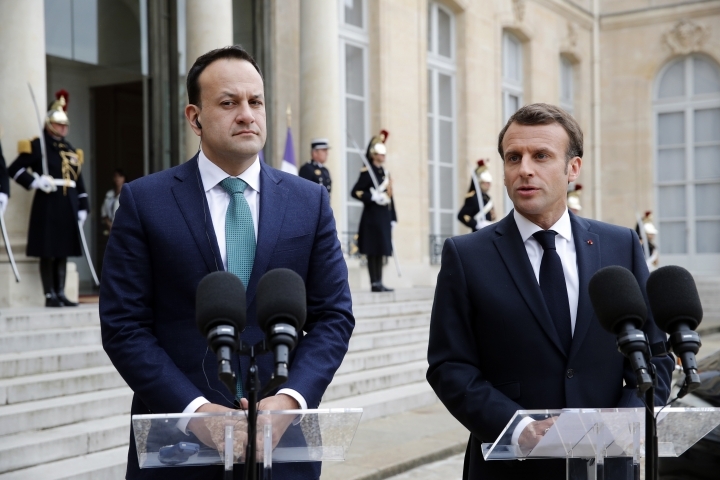 French President Emmanuel Macron has urged Britain to propose an alternative Brexit plan if the country wants to avoid a no-deal departure from the European in 10 days, and Irish Prime Minister Leo Varadkar says the EU needs to be open to U.K. proposals. Macron said before a meeting of the two leaders in Paris that "we cannot spend the coming months on solving terms for the divorce." Macron said the rejection of potential alternatives by U.K. Parliament put the EU "on the path of a no-deal." Varadkar stressed "there's still time" for British Prime Minister Theresa May to come to an EU summit on April 10 with "credible" proposals. Ford's European boss says that if the United Kingdom can't work out a deal on how to leave the European Union while guaranteeing "frictionless trade" then the company "will have to consider seriously the long-term future of our investments in the country." 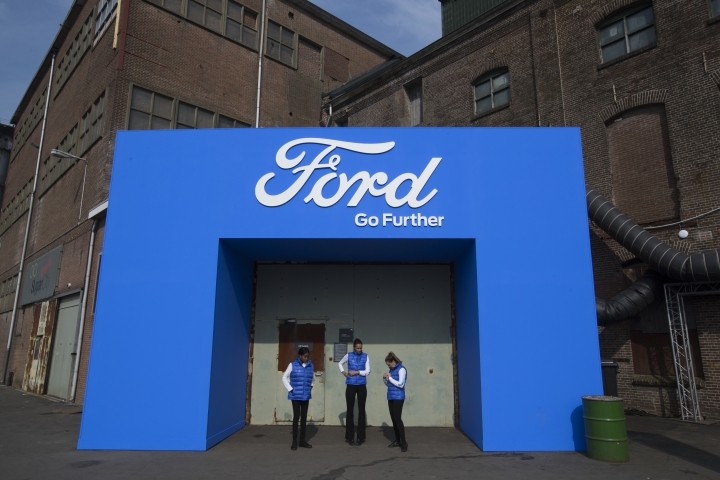 Ford of Europe Chairman Steven Armstrong was speaking at a Ford event in the Netherlands Tuesday, the day after British lawmakers voted down a series of alternatives to Prime Minister Theresa May's Brexit deal with the EU. Armstrong told The Associated Press that "a no-deal Brexit would be a disaster for the automotive industry in the U.K. and within that, of course, I count Ford Motor Company." 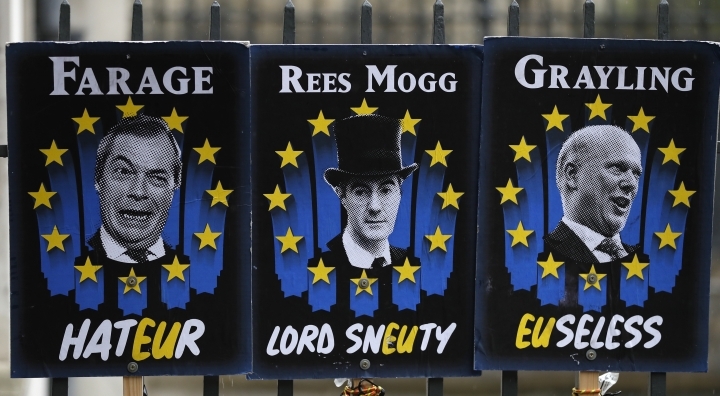 A group of British lawmakers is planning to try to pass a law to ensure the country does not crash out of the European Union without a divorce deal. 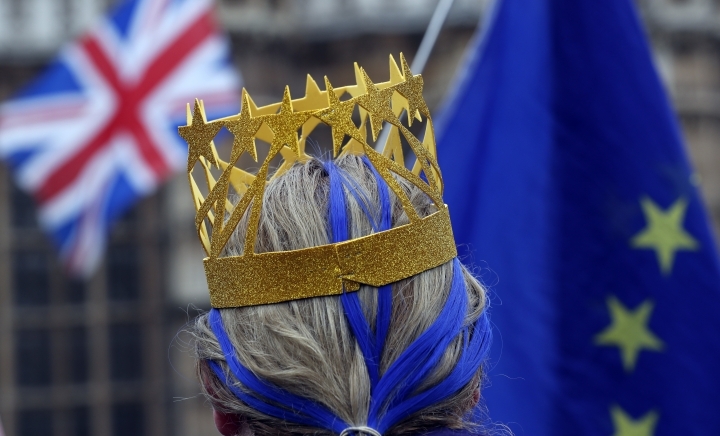 The EU has given Britain until April 12 to come up with a Brexit plan or leave the bloc. U.K. lawmakers have rejected the government's withdrawal agreement and a range of alternatives. That leaves the country facing a disruptive no-deal Brexit in 10 days. Parliament is set to consider this week legislation that would require Prime Minister Theresa May to seek to extend the Brexit process beyond April 12, preventing a no-deal departure. Labour legislator Yvette Cooper, one of the bill's sponsors, says "we are now in a really dangerous situation with a serious and growing risk of no-deal in 10 days' time." She says that "if the government won't act urgently," then Parliament must step in. British Prime Minister Theresa May is set for a marathon session with her Cabinet as the government tries to find a way out of the Brexit crisis, after lawmakers again rejected all alternatives to her European Union withdrawal agreement. 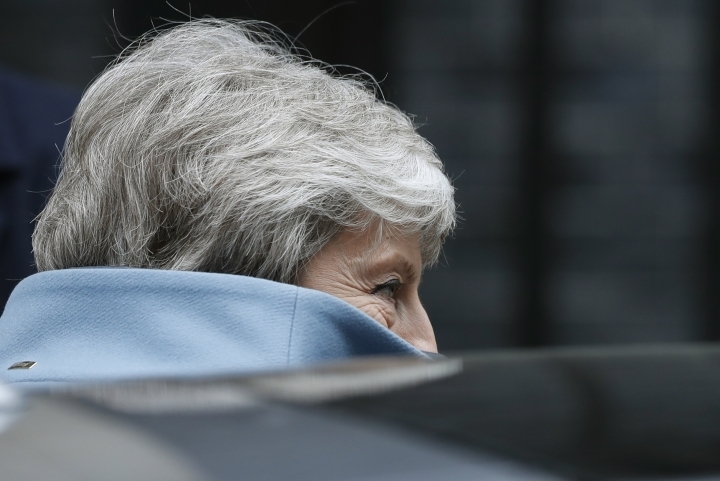 The Cabinet is scheduled to meet for five hours Tuesday amid calls for compromise to prevent a potentially devastating no-deal exit in just 10 days. The government is pushing for a fourth vote on May's deal, with Education Secretary Damian Hinds saying the agreement already represents a compromise between all sides in the Brexit debate. Hinds tells the BBC that the deal "is a good balance, and I hope colleagues can get behind it." EU chief negotiator Michel Barnier says that Britain's exit from the European Union without a deal "becomes day after day more likely" after the U.K. parliament again rejected alternatives to the government's unpopular divorce deal. Despite the downbeat assessment, Barnier did say that "we can still hope to avoid it" through intensive work in London ahead of an April 10 summit. A no-deal Brexit could come as soon two days after that. 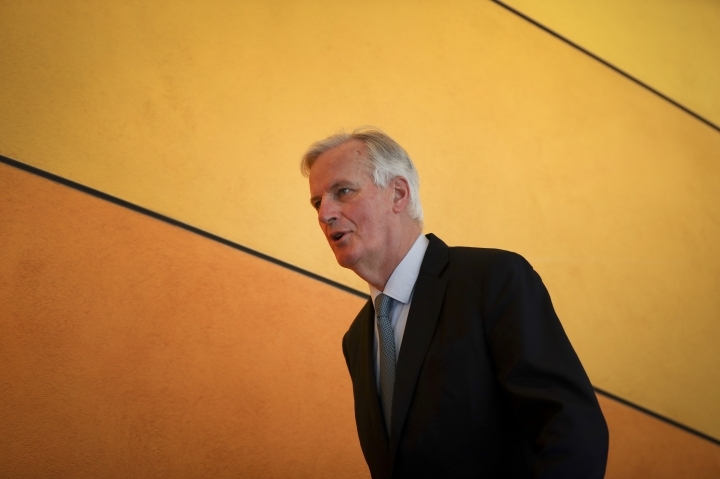 Despite the difficulties of a chaotic exit, "the EU will be able to manage," Barnier said, although he warned that "not everything will be smooth."